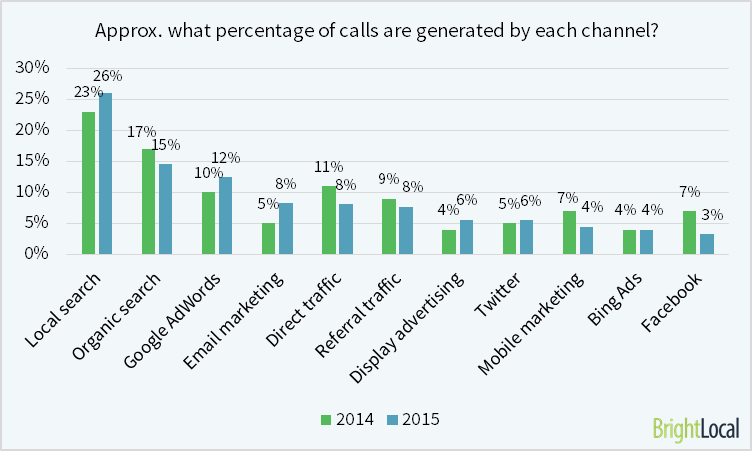 In August Bright Local ran their annual ‘Local Clicks & Calls’ survey in which we ask local business owners and local search marketers about which digital marketing channels drive leads to their businesses and deliver the best ROI. 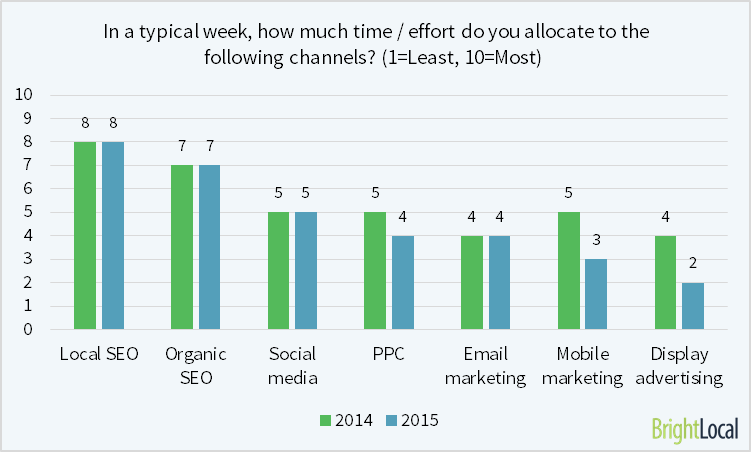 The objective of this survey was to understand & share which online marketing channels are driving the most traffic, calls & offline visits to local businesses. This covers all types of local, physical businesses from Plumbers to Accountants to Cosmetic Dentists. 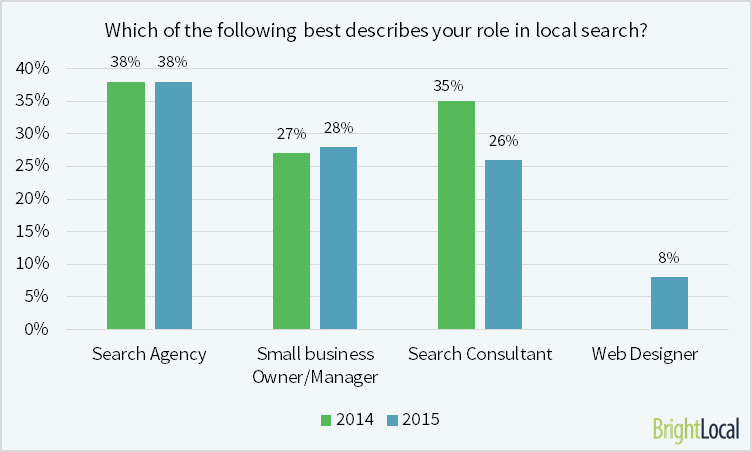 There is a clear ‘Top 3′ with Local search, Organic search & AdWords as the channels which most business owners & SEOs would choose to bring traffic to their site. 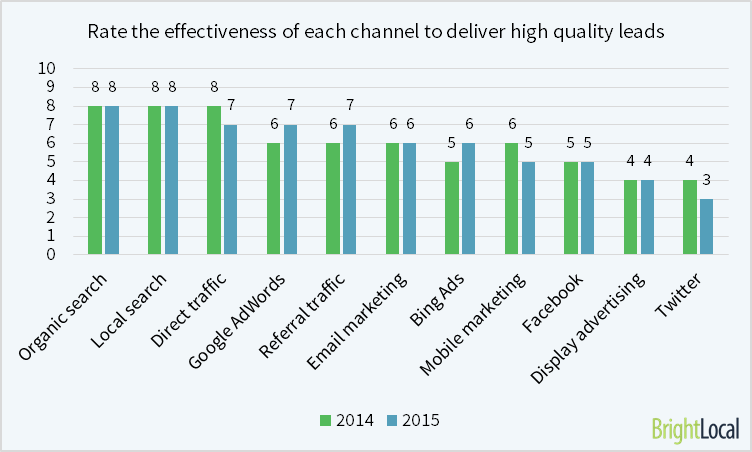 Interestingly Direct Traffic, which provides excellent ROI & delivers high quality leads, is not a channel that many respondents choose above others. 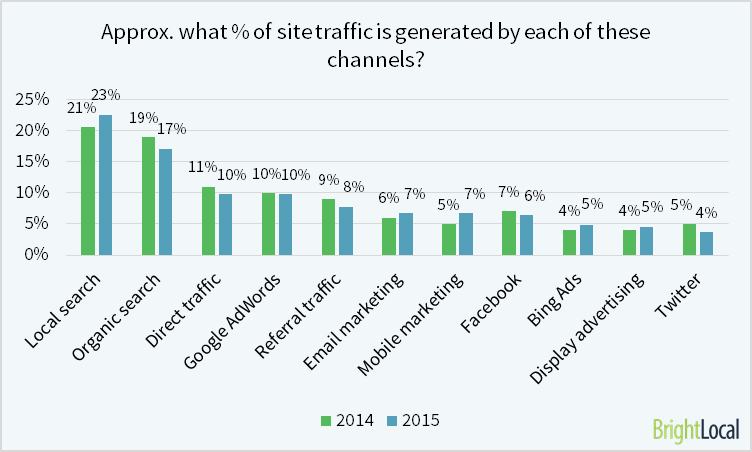 Direct Traffic is driven by brand awareness, word of mouth, reputation and returning visitors (to name just a few). It’s a less definable channel and not so easy to influence or control as the ‘Top 3′. 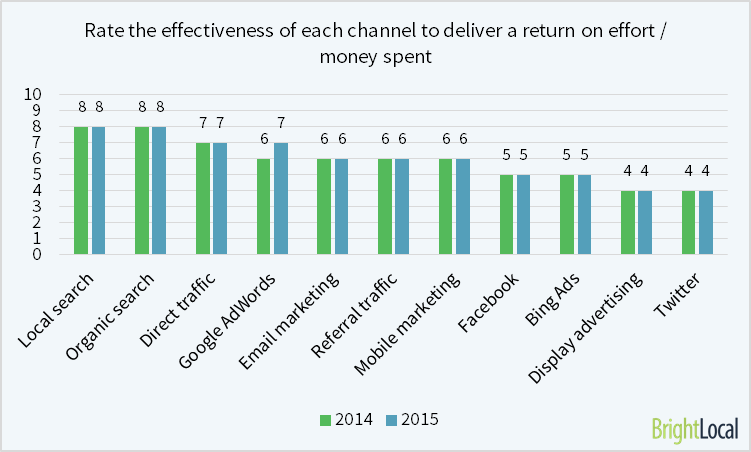 The same can be said with Referral traffic, whereby you are ultimately relying on other sources to deliver traffic to you. We are a digital marketing agency located in New York specialising in helping local businesses generate more brand awareness, more leads and more business. Contact Us today and let us help you.